Calling all bands and musicians! 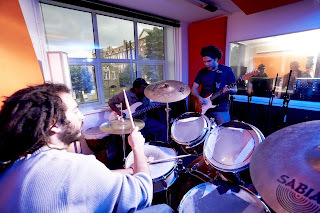 Throughout November Point Blank's Music Production HNC students are looking for bands to engineer and record at our state of the art studios in Hoxton, East London. We are giving you the fantastic opportunity to get free studio time and audio recordings of your music. We also book for regular gigs around London so please get in touch if you are looking for chances to perform live.